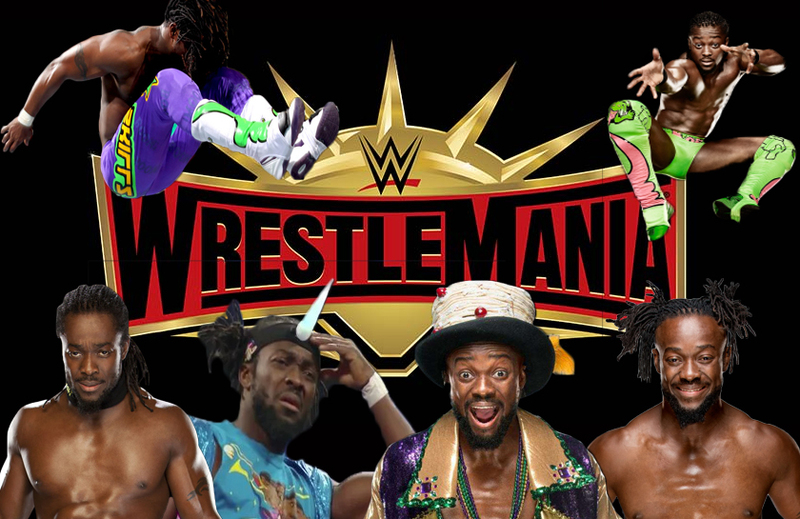 Headlies: Kofi Kingston Added To Every Wrestlemania Match - WrestleCrap - The Very Worst of Pro Wrestling! Indianapolis, IN – In a surprise announcement on Smackdown, Vince McMahon declared that fan-favorite Kofi Kingston would be taking part in every Wrestlemania match. Since his surprise inclusion in the Elimination Chamber match, Kofi Kingston has received a groundswell of support from the WWE Universe. Recently, though, McMahon has stood in his way, denying Kingston a shot at the WWE Championship. That all changed when the two met in the ring. The crowd erupted in cheers as Kofi was embraced by his New Day partners. The crowd responded to the news with a mixture of cheers and boos. After hearing of Kofi’s inclusion in every Wrestlemania match, WWE Superstar Tyler Breeze threw his remote to the floor and opened a second pint of Chunky Monkey ice cream. 4 Responses to "Headlies: Kofi Kingston Added To Every Wrestlemania Match"
And at the end of the night, do the right thing for the business and put over Swinging Shane in a 15 second enhancement match for The WWE Championship, take out the trash and turn the lights out before leaving the building and carrying both Nia Jax and Tamina to their car. “Polishing Kurt Angle’s head” — now I am picturing a “Barber Of Seville Match” where Angle gets cuffed to a barber’s chair, while someone re-enacts “Rabbit Of Seville” on him…. I got Seinfeld vibes where George gives a woman an oil massage with his head. Could explain why Angle was constantly referred as a “well-oiled machine” by fellow baldy Tazz. This would be plausible if Kofi were still Jamaican. He could perform all his tasks and still be able to win his match, claiming that it was no different from a marathon.